A recent CSU graduate has won a prestigious annual national award from a peak industry body for her PhD thesis. A recent Charles Sturt University (CSU) graduate has won a prestigious annual national award from a peak industry body for her PhD thesis. 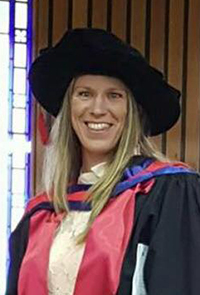 Exercise and Sports Science Australia (ESSA) has awarded its 2017 ESSA Medal to Dr Caroline Robertson (pictured) who graduated from the CSU School of Exercise Science, Sport and Health in Bathurst in December 2016. Dr Robertson’s PhD thesis, ‘The brain and exercise: neurophysiological correlates of tolerance, regulation and termination’, was judged by an expert panel to be the most outstanding PhD thesis approved for graduation in the field of exercise and sports science. Dr Robertson said, “It is an incredible honour to be the recipient of the ESSA Medal for 2017, and certainly the highlight of my career so far. “It is a testament to the quality of doctoral work produced at Charles Sturt University within exercise science, particularly within the area of exercise regulation and fatigue. “Extending our knowledge in this area allows us to further understand athletic performance and how we can assist athletes to maximise their potential. “Working under world-renowned scientists Professor Frank Marino and Professor Rob Robergs has allowed me to develop strong research skills and a passion for developing knowledge in this field. Professor Frank Marino, Head of the CSU School of Exercise Science, Sport and Health, said, “Dr Robertson undertook her PhD studies at Charles Sturt University because at the time we were heavily involved in understanding how people regulate their exercise, and trying to find the elusive ‘exercise stopper’. 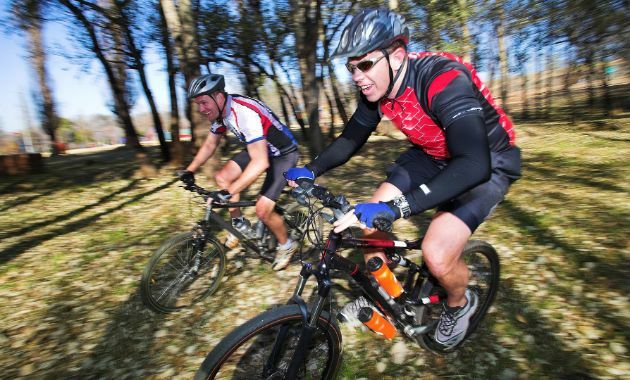 “Dr Robertson conducted cutting-edge research to study and manipulate the brain during exercise to understand the ways in which exercise is regulated at the higher levels of functioning. Her work is seen as cutting-edge, and has been published in high-ranking journals. “The ESSA medal is testament, not only to the quality of her work, but to the insightfulness and complex nature of the experiments conducted. The School of Exercise Science, Sport and Health has always and continues to push the boundaries of understanding the complex nature of exercise, human performance, and the mercurial nature of fatigue. Dr Robertson will receive her award and prize at the 2018 Research to Practice Conference in Brisbane from Tuesday 27 to Thursday 29 March. Dr Robertson completed studies using techniques such as electroencephalography, near infrared spectroscopy, and electromyography. She was able to outline key changes within the brain during exercise and concurrent emotional responses. Read more at the 2017 ESSA Medal announcement, and more about Dr Robertson’s research here. Contact CSU Media to arrange interviews with Dr Caroline Robertson who is now a researcher at Western Sydney University.